May 30, 2016 through June 11, 2016. This is a Permaculture Design Course. Planning for the 2012 Inland Northwest Permaculture Conference has begun! The conference will be in Missoula, November 9th, 10th and 11th. For the latest information please see this thread 2012 inland northwest permaculture conference will be in Missoula! The 2012 Northwest Permaculture Convergence will be hosted by the Washington state permaculture community and held on the Olympic Peninsula. The website is up! 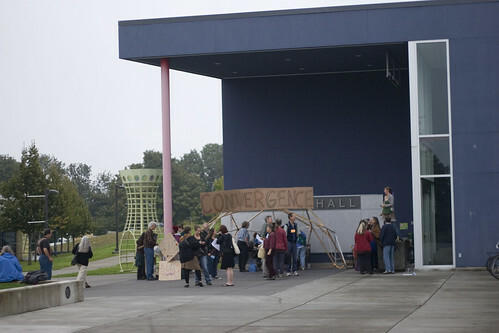 For discussion of the event, see Northwest Permaculture Convergence 2012, come join us! Hosted by the Oregon state permaculture community. Hosted by the Washington state permaculture community in Seattle. Hosted by the Washington state permaculture community. What is the difference between a permaculture convergence and a permaculture conference? What is a Permaculture Design Course (PDC)?